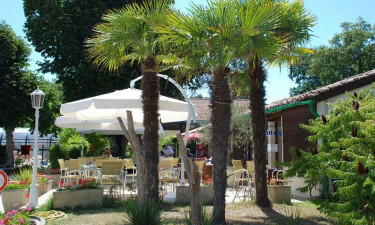 The idyllic holiday camping site of La Clairière offers the perfect setting for camping luxury. With two heated pools, a lagoon, and a waterslide on site there is plenty to keep the whole family entertained. The twelve-hectare camping site offers a relaxing stay amid forests of pine and oak trees with all the facilities you could need. For a luxury camping experience book your stay at La Clairière with LuxCamp. 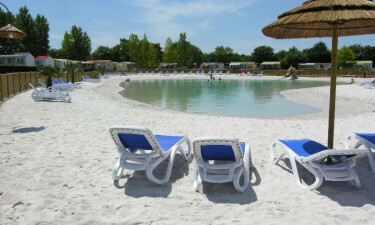 La Clairière is a four-star luxury camping site in the heart of Charente-Maritime. Twelve hectares of wooded park offer peace and tranquillity for the perfect camping holiday, while a 55-metre water slide will keep the kids endlessly entertained. It is only 2.5km to the beach or 1.5km to the market. Whether you prefer cycling through the shade of two-hundred-year-old oak trees or taking a state-certified water aerobics class; La Clairière has all this and more to offer. Book your stay through LuxCamp today! Why choose Camping La Clairière? 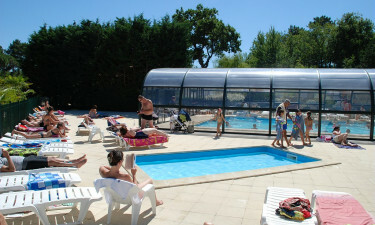 The tranquillity of La Clairière centres around two heated pools, and a paddling pool for the little ones. There is an ample supply of deck chairs, and you can take shade from the glorious weather under parasols. 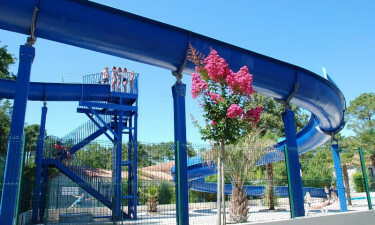 Just a short walk away is a thrilling 55-metre waterslide that twists and turns to a splash at the bottom. New to La Clairière in 2017 came a unique lagoon, flanked with white sand and palm trees. Perfect for sandcastles and snorkelling without leaving your luxury camping site. Not only does La Clairière offer exquisite on-site facilities, but it’s located in the stunning region of Charente-Maritime in south-west France. Guests who like to explore the surrounding areas will be delighted to discover that the beach is only 2.5km away. Just take a walk or bike ride through the scenic town of La Tremblade and cool off in the crisp waters of the Atlantic. With markets and quaint towns nearby, it’s a perfect day out for the whole family!